A community for people who want to remain as healthy as possible as we age. Taking a drug called ADAC, which activates adenosine receptors in the cochlear tissues. 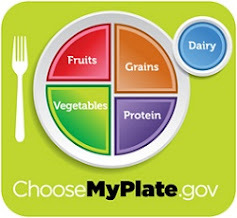 ChooseMyPlate.gov provides practical information and tips to help Americans build healthier diets. • Enjoy your food, but eat less. • Make half your plate fruits and vegetables. • Make at least half your grains whole grains. • Switch to fat-free or low-fat (1%) milk. • Compare sodium in foods like soup, bread, and frozen meals ― and choose the foods with lower numbers. • Drink water instead of sugary drinks. The latest scientific studies show that the things most important for maintaining good health are: Proper diet, frequent exercise, reducing stress, not smoking, limiting alcohol intake, getting enough sleep, staying mentally engaged, and frequent, meaningful social contact. The trouble is that most of us often fail to do the things we know are good for us, or continue to do what we know is bad for us. But we're more likely to do the right things with the support of others. The purpose of this community is to provide a platform for people who want to get healthy or maintain their health. We believe that we can help ourselves and each other by contributing our own personal experiences, especially how we overcame resistance or difficulties, to maintaining a healthy lifestyle--where possible without spending a lot of money. There's no charge to participate. Help us grow the community, and we will be able to negotiate group rates and group prices for products and services to help us achieve our health objectives. Join us! And send us your ideas for improving the community.